Did a shave and a haircut ever actually cost “two bits,” also, what’s a “bit” worth in 2018 money? 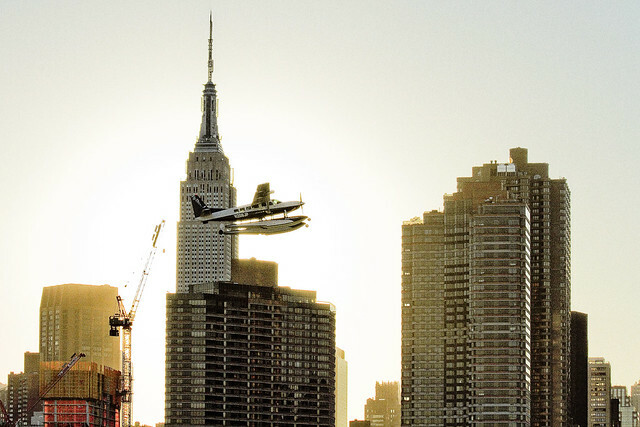 Back in 2015, whilst bumming around the East River waterfront in LIC, one took a picture of a seaplane. That’s it, right up there. Difficult shot to pull off, this was, what with the burning thermonuclear eye of God itself hanging directly behind the venerable Empire State Building. The City really was shining that day. In 2017, I took a different photo, this time it was of a train. 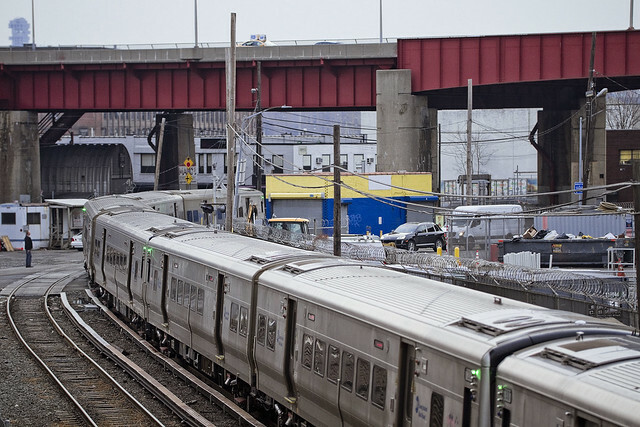 Specifically a Long Island Railroad train, crossing Borden Avenue in Long Island City and heading towards the Hunters Point Yard. This is one of my favorite spots in Queens, and a humble narrator will often be spotted while grievously squatting upon a pedestrian bridge over the track. Look for a corpulent vulture like thing with a camera, that’s me. 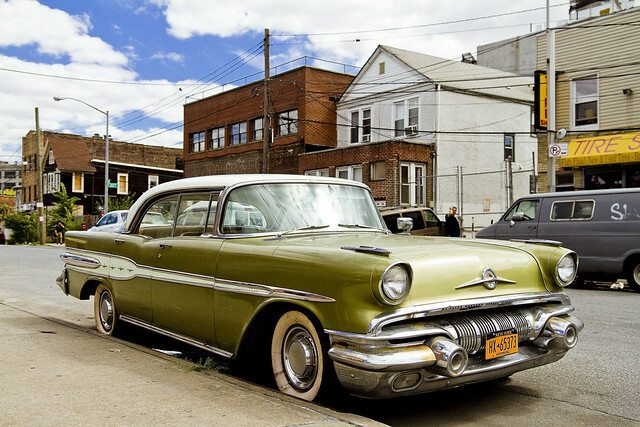 Here in Astoria, this 1957 Pontiac Star-Chief was noticed and photographed on a lovely afternoon in 2013. A recent bout of Flu has left a humble narrator a bit worse for wear, and short on new content this week. Accordingly, shots from the archives have been pulled and will be presented thusly, as this – your Newtown Pentacle.